One of the leading leukemia hospitals in the country, Fortis International offers premium blood cancer treatment in India. Equipped with world-class infrastructure and a team comprised by some of the best cancer treatments in India we are dedicated to providing the best-in-class treatment for blood cancer at affordable prices. Leukemia or blood cancer is a disease of the blood cells that impact the DNA of immature white blood cells, leading them to become deformed in some way and multiply rapidly. These damaged blood cells start occupying more and more space in the blood and eventually outnumber the healthy cells in the patient’s bloodstream. The onset and development of leukemia are usually very fast. 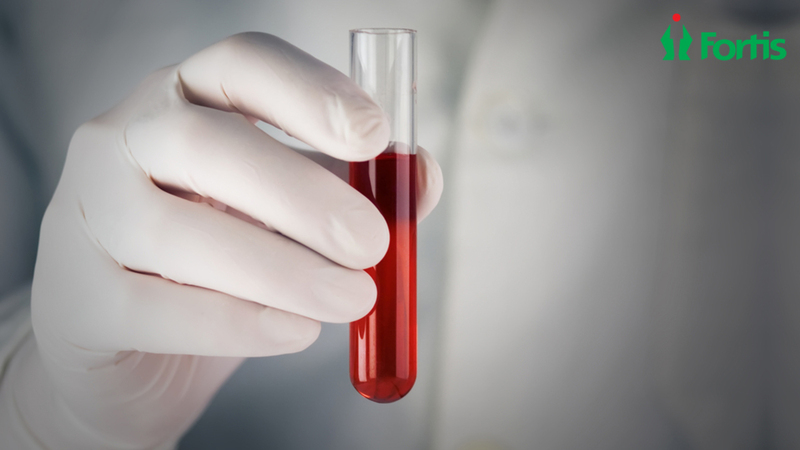 If not treated in the early stages, blood cancer can be potentially fatal. Human bodies make three types of blood cells in the bone marrow-the oxygen and nutrients transporting red blood cells, the disease-fighting white blood cells, and the clot-forming platelets. All blood cells gradually develop from unspecified, under-formed cells into fully mature cells that protect us and keeps our body healthy. Chemotherapy remains the best blood cancer treatment in Bangalore for moderate to severe leukemia patients. Besides chemo, there are a few other modes of treatment too, which has positive outcomes in patients with comparatively milder stages of cancer. In people with acute leukemia, blood cells fail to naturally progress past the initial phase. And in people with chronic leukemia, the cells that do progress past the beginning stage often get outnumbered by other abnormal, diseased cells. Patients with leukemia, and all other forms of cancers- are seen to have a compromised immunity. Age is also a risk factor for leukemia and almost half the cases of blood cancer are found amongst children under 15 and people over 55. Backed by top-notch HEPA filtered rooms and advanced, comprehensive oncology wards and some of the best blood cancer specialists in India, Fortis International is one of the best BMT & hematology hospitals in the country that hands out state-of-the-art leukemia treatment to patients. Acute Myeloid Leukemia: In this type of cancer, the bone marrow makes unhealthy red blood cells called myoblasts. Chronic Myeloid Leukemia: People with this type of blood cancer will be producing too many abnormal white blood cells in the body. Acute Lymphocytic Leukemia: One of the most common types of blood cancer, this condition results in the bone marrow producing too many unhealthy white blood cells. Chronic Lymphocytic Leukemia: In this condition, the bone marrow releases too many white blood cells in the bloodstream. With a proud reputation of ranking among some of the leading hospitals for blood cancer treatment, we offer world-class leukemia treatment that comes within ranges of your affordability. From diagnostic services and counselling to surgical care and post-op facilities, our team has several unique medical programs to aid the fighters of cancer and their families. Our expert medical team is supported by some of the top hematology specialists in India, who pioneered in innovative treatment methods in the field of oncology.